Alissa from the Adored Life is spunky with the best curls around! She is petite yet curvy, and her fashionista and lifestyle blog chronicles her wedding planning. 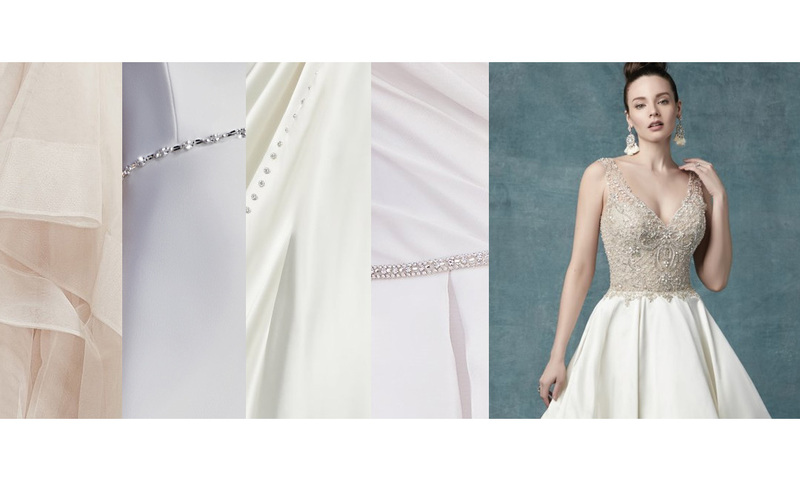 This guest blog post features her personal online wedding dress shopping experience using the Maggie Sottero Designs’ Dress Finder feature. She tells you all about how she managed to keep her vision alive. We are excited for you to get to know this real bride and read all about her perspective as you search for your dream dress in this modern world of online shopping. Shopping for your wedding dress is one of the most exciting and overwhelming steps of the wedding process. In my everyday life I love glamour, volume, and anything over the top. I know exactly what my style is, and I don’t ever seek outside input on what I wear. But wedding dress shopping can leave even the most discerning shopper utterly stumped. This is why so many of us rely on opinions from our many well-meaning family members and bridal party. 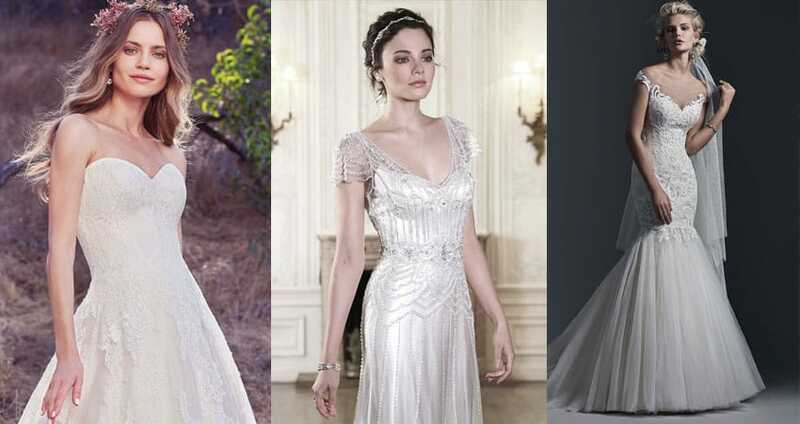 Whether they are a close friend, an acquaintance, or even your dad, it’s surprising all the opinions and advice you receive around the wedding dress you choose. Opinions not just about your dress, but the colors, flowers, location, everything! People who won’t even be attending the wedding might end up asking for glimpses of your dress. 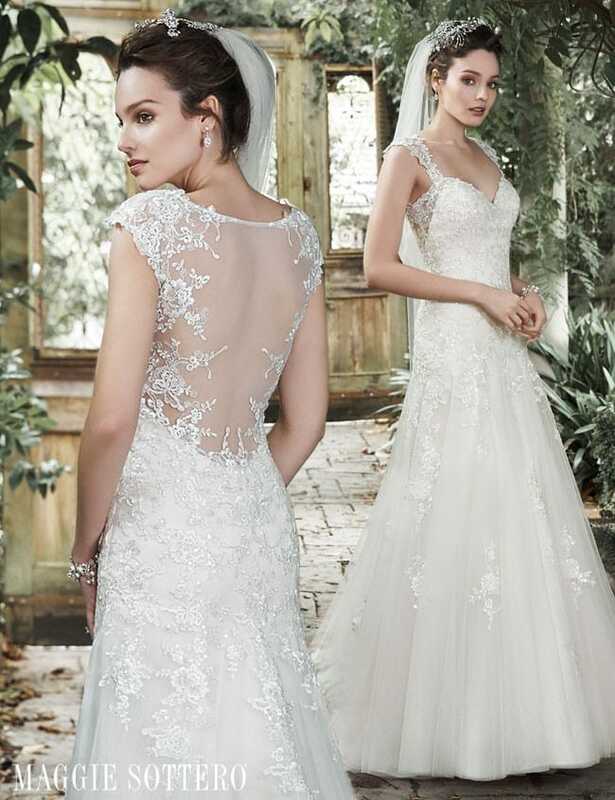 It’s one of the most important days of your life, so it makes sense so many people are curious about what dress you will choose. That curiosity can be a bit overwhelming. So today I’m going to talk about how to cultivate your wedding-dress vision from the beginning to your final “say yes” moment. Even if you’ve already experienced the poking and prodding about your wedding dress, it’s not too late to reset focus on your wedding-dress vision. Trust me, all of this is first-hand advice coming from personal mistakes and my road to discovering how to get my wedding vision back on track. When I first started looking for my dress online, I made a big mistake. Instead of focusing on what I wanted, I began listening to what other people were drawn to. I sent a few links to friends and got a lot of unsolicited feedback. I was really shocked. How could so many people have different opinions on what I thought were perfect dresses? Some people felt like what I liked wasn’t me, but how could it not be me? When I would send the link to the dress sometimes I would get good feedback, but other times I felt confused and began to feel I had lost ME in all of it. I don’t consult people when I get dressed in the morning. I don’t even like to go shopping with people! So why did I think that I needed to ask others for their thoughts on what I loved? Before you share your wedding-dress vision, Pinterest board, or any thoughts on your wedding dress, decide what your boundaries are. Do you want feedback, or do you just want to talk about it? It’s okay to say that you’re not up for discussing what your vision is. 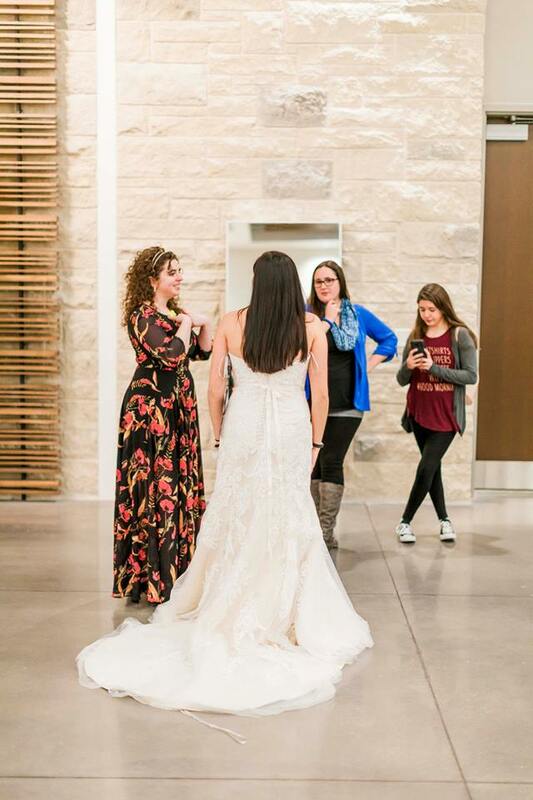 Before telling a whole group about your wedding dress, confide in a close friend who you truly trust. Tell them what you love or any reservations you have about the dress. And remember, what you love or dislike about a gown might look completely different than what you think, once you try it on. When people are looking at the wedding dress online, they aren’t looking at you in it. They are looking at the dress itself. So don’t take the feedback too personally. Just remember they may not be able to visualize it the way you do and are simply commenting on the dress, not you in the dress. What can you do to make sure you are starting off on the right track? If you’re having a small, intimate gathering in a small venue, you might not be able to wear a full ballgown due to the size of both, the dress and the location. If you’re having a country chic wedding outside, you may not want to have a dress that has delicate details that can snag on natural elements. While a mermaid gown might be calling your name, do you like wearing fitted dresses? Your wedding is not the day to decide to try something new and find out it’s not for you. Think about any undergarments or shapewear that might need to be worn that day. Can you dance in the dress, or comfortably sit in the dress? Your wedding day isn’t the day to find out you hate strapless dresses. Be sure to think about your own comfort level and what will make you happy. The wedding dress isn’t the only thing that takes center stage. 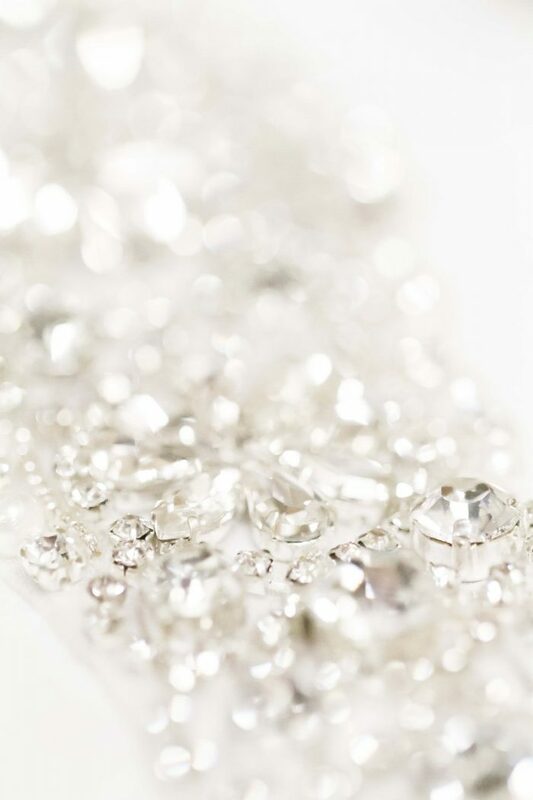 If you are wearing any family heirlooms, a special veil, or want to wear some bridal bling, make sure you aren’t picking out something that competes with that extra special touch. 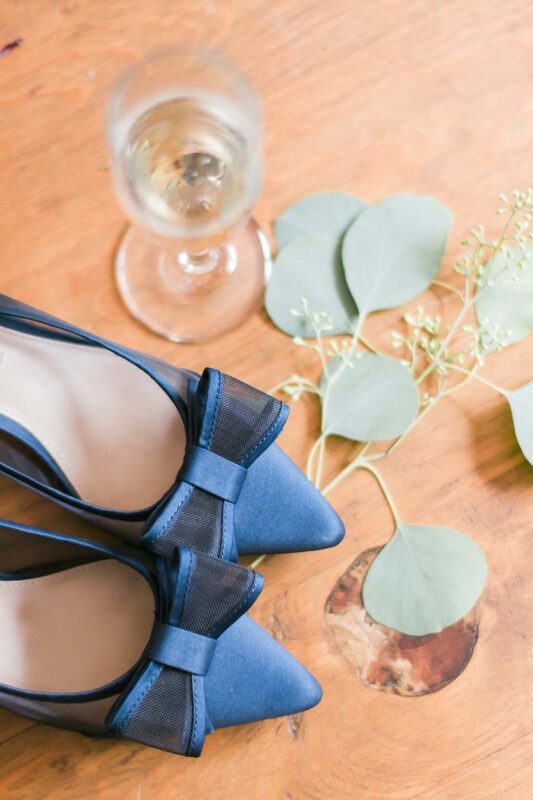 Don’t let these accents upstage your dress or detract from your accessories. While the idea of being realistic is not all that fun, it will help you find your wedding dress. Being even the tiniest bit realistic can help you avoid any dress regrets. On my mission to include people whose opinion I cared about, I kind of forgot to include myself. So I decided to start over, without any input so I could clearly figure out what details make a wedding dress me. But this time, I had a plan. 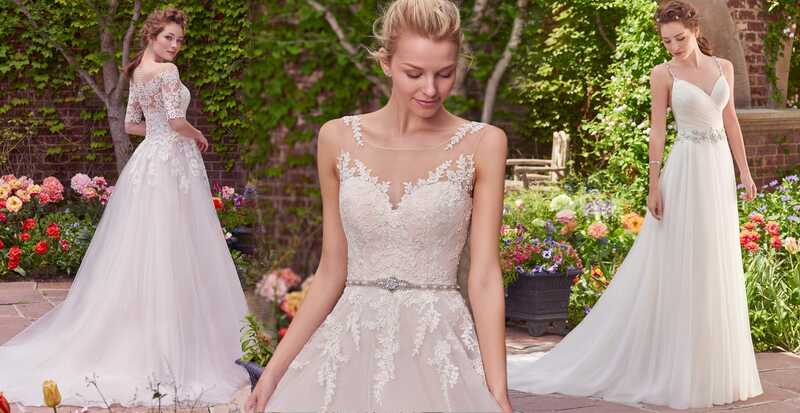 I completely restarted my vision and went back to the Maggie Sottero website with a clear vision of what details I wanted, not details I thought someone else wanted for me. Prior to this reset, I was confused and drawn to numerous styles. After the reset, I suddenly saw commonalities in the designs I was drawn to. 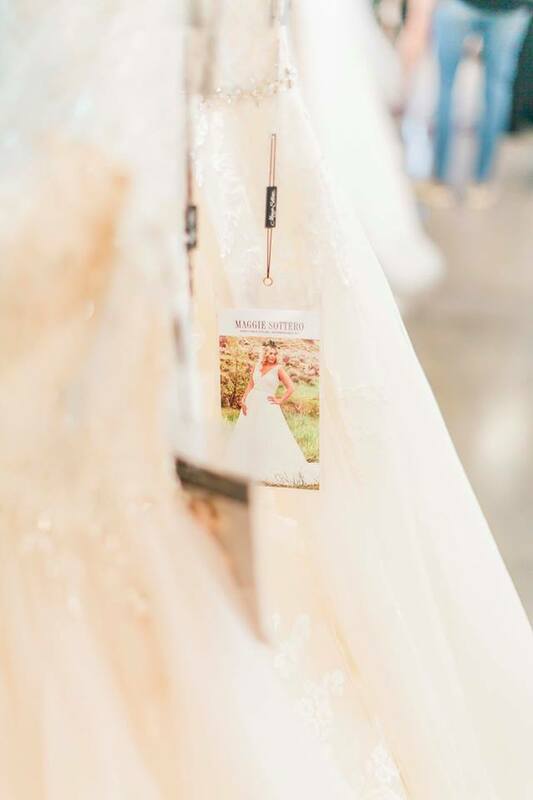 It was easier to wade through the virtual closet of tulle, sparkle, and other details after getting the clarity of what would make my wedding dress the wedding dress. I took my time looking at photos, my own clothing, and what I wanted to feel like on my wedding day. Glamour or princess? Simple or intricate details? Are there details about dresses my Fiancé loves? Do I want a traditional white dress? Answering these questions not only helped me get clarity, but it also helped me find a dress that has special details I know even my Fiancé will love! For you, maybe it means adding something to the dress to make it yours. Perhaps it’s adding a bit of lace from a family gown, something blue sewn in, or another detail that will make the dress your own. 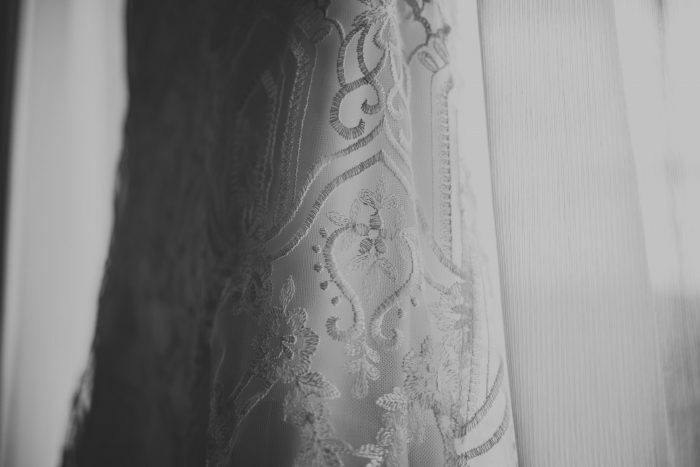 If you want to incorporate a family heirloom be sure to think about this and bring it up during your bridal appointment! I will never forget the moment one of my best friends walked out in what we thought was the wedding dress. I remember looking at her, unable to read how she felt, so I was supportive of it because it was gorgeous. Little did I know that she was just reading our faces and trying to convince herself she loved it. We thought she loved it, so we were also trying to convince ourselves that we loved it! She purchased the dress that day but without tell anyone how she was feeling. Knowing it was a beautiful dress but deep down but she didn’t love it and over time she realized she couldn’t force herself to do so. She ended up having to order another dress. She had never tried it on or even seen it in person, but her gut told her this was the dress. 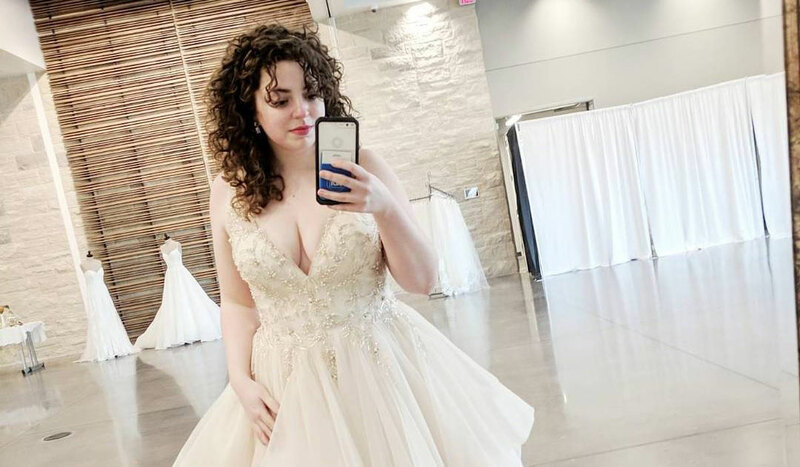 People thought she was crazy ordering a dress she had never tried on or even seen. She had to stand strong in the face of family and friends questioning her and not understanding the situation. She stuck to her vision and gut feelings that this was the right one. And you know what? It absolutely was the perfect dress, and it looked like it was made just for her. Everyone wants a magical moment where there are tears and everyone is overwhelmed with how perfect a dress is. Sometimes that does happen, but if you aren’t an emotional person, don’t get upset if you aren’t moved to tears. Just because you didn’t jump up and down when you found your dress, it doesn’t make it any less perfect for you. I loved using the Dress Finder feature on the Maggie Sottero Designs’ website that let me know if a dress I was interested in was at an Authorized Retailer near me! 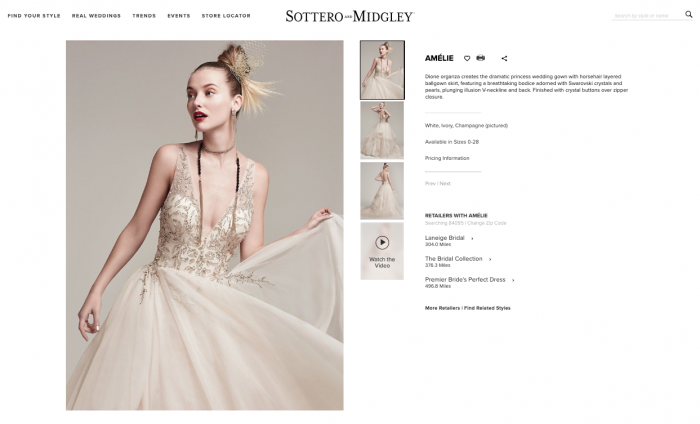 When you first go to the Maggie Sottero Designs’ website and click on a specific style you like, all you have to do is enter your location and it shows retailers in your area that carry that style. Even better, instead of saving a bunch of links, I was able to just save them all to my Maggie Closet. Literally, all I had to do was call my local store for an appointment and ask if they had the dresses I wanted to try on. It saved me time, helped me figure out what I wanted for myself, and had a better try-on experience. I knew which dress I was going to end up in when I walked into my wedding dress appointment, but I still tried on other gowns to be sure I had the right vision. I had the Maggie Closet of my dreams, ready for me at my appointment and I was so thankful I had already thought through what I wanted. Even for an experienced shopper like me, walking in and just browsing wedding dresses can be overwhelming. And the idea of purchasing my wedding dress online felt a little scary and unknown. Using the Dress Finder feature was a lifesaver and truly helped me keep my wedding-dress vision true to myself. 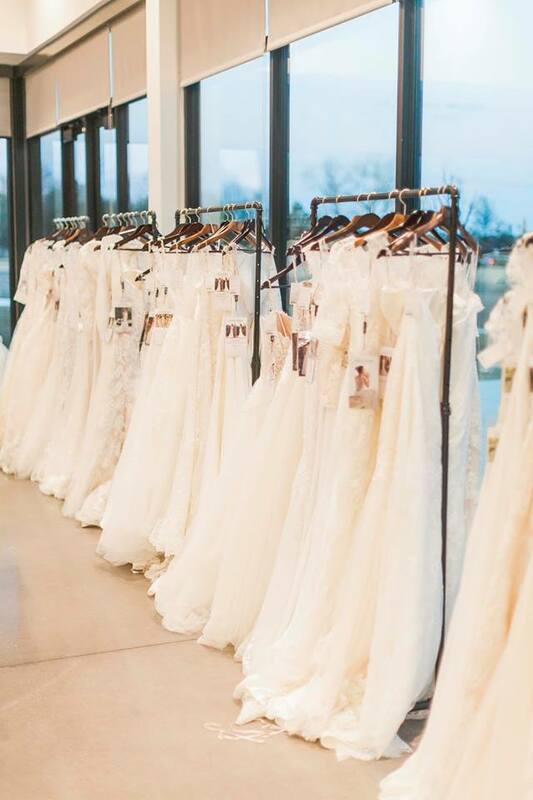 Whether you’re indecisive, or a Type A personality, doing this research will greatly help you during your bridal appointment. Don’t be afraid to circle, highlight, or cut out what you love about a dress and bring it with you to your appointment. You can also pull up your Maggie Closet on your cellphone. If you loved the photos, but the dress isn’t speaking to you in real life, don’t sweat it. It just wasn’t for you. It’s better to try and know why it wasn’t right, instead of wondering and doubting your final decision. While you want to zone in on what you love, you still need to be flexible that maybe the dress you have in mind isn’t quite right for you. You’re on the right path to finding that perfect dress. Ultimately, no one but you is going to know what dress is right. And you’re the one that will be wearing it. It’s great to ask for advice, but no one is going to be you on our wedding day. Everyone has their own version of what is the perfect dress. You’ve probably also had unique thoughts about someone else’s dress. Maybe it wasn’t your taste, but they loved it. It’s hard to think about how someone might not love what makes your wedding dress so special to you. However, just because someone else doesn’t see it, doesn’t mean your dress is any less beautiful or perfect for you. Those involved in the wedding, will have many different opinions and ideas of what your wedding dress should be. Try to remember they want the best for you, and they also want to share in the celebration of one of the biggest days of your life. Ultimately, even the most negative person won’t be able to stop smiling when they see you walking down the aisle. Whether they loved your dress or not. When they see you walking down the aisle, that’s all that will matter. Have you ever said to yourself, "Gosh I really wish Alissa would tell me what dress I should wear on my wedding day and I wish there were gowns that literally no one has seen before that I could try on!" 👰 HAVE YOU? Because I've HEARD you and next Friday, January 26th, there's an exclusive experience going down with ME, @shopdressgallery, @maggiesotterodesigns and so many other Wichita vendors! It's Maggie's first pop up event and I'm so excited to be part of this! ♥️ Yes, this is real! There's going to be food, never before seen dresses and me! I'll share more soon but can we all take a moment to eeekkkkk about this? One of the most difficult things after finding your dress, is wondering if you chose the right one among the numerous options of beautiful dresses out there. However, having a clear vision of what you want from the beginning will help you minimize this doubt. There comes a point and time in any wedding where you just have to accept your decisions. Whether it’s the flowers, cake flavors or wedding dress. There’s always another dress, or flavor, or color you could choose. But you didn’t choose any of those items at random, you chose them for a specific reason, and at some point, you have to commit. If you’re questioning your wedding dress, go back to your vision. Think about what made you fall in love with your dress in the first place. You were able to clearly see what you wanted and if you’re experiencing doubt, it’s probably not the dress. It’s probably the circumstances surrounding the wedding. If you are comfortable talking about it, confide in a close friend who was there when you fell in love with your dress. Chances are that you are so overwhelmed with other things, you need someone else to center you and remind you why both of you loved it! Your wedding dress will never be topped by anyone else because your wedding dress is you unique to you. No one can take away how much you loved it, connected with it, or what drew you to it. While it can be exhausting to find the dress of your dreams, using this guide to help you through the process can remove a lot of the stress. As Drake would say, “Know yourself.” If there’s one thing I know, your wedding dress is ultimately up to you. Only you know what you want and what feels best for you. Knowing what you like, what makes a dress yours, and why you love it will help you stay strong throughout the process. Whether you share wedding dress ideas or not, just make sure you don’t lose who you are and what you want to look like on your wedding day.